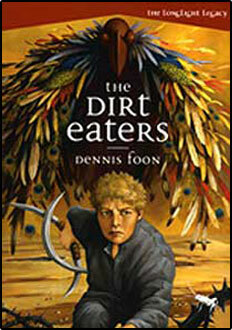 I’ve been told that The Dirt Eaters is like Mad Max meets Carlos Castenedas. I can see where the Mad Max comparison comes from, since Roan’s wanderings in the Farlands do bear some resemblance to that rollicking post-apocalyptic world. Carlos Castanedas was an anthropologist who wrote extensively about his experiences with a shaman who took him on journeys to alternate realities, and I’ve always been fascinated by his books. To me, the Dreamfield isn’t exactly an alternate reality, because it’s connected to the earth, to its spirit, and the spirit of all the life in it.